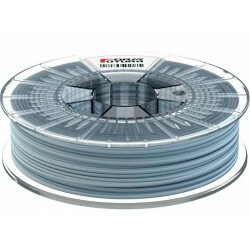 Formfutura EasyFil™ PLA Sapphire Grey is a stunning blue grey colored and 100% opaque filament. 3D printed objects in EasyFil™ PLA Sapphire Grey will have a space grey and sapphire-like appearance. The printing temperature guideline for printing with our EasyFil™ PLA filament is approximately 210-220°C. As each desktop 3D printer has its own unique characteristics, you might need to tweak around with your temperature settings a bit to get the best results. To obtain optimal results for your prints you need to take into account variables like your 3D printer’s nozzle diameter, your printing speed settings, and layer height. 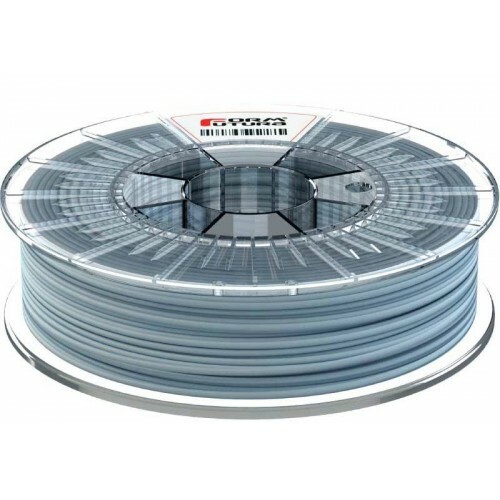 PLA has much less tendency to warp compared to ABS. Therefore it can be printed both with and without a heated print bed. However, if your desktop 3D printer does have a heated print bed it is recommended to set your print bed temperature to approximately 35° to 60° C.
A good first layer adhesion is of the utmost importance in obtaining the best results for your prints. Firstly make sure that you print bed is accurately leveled and clean. Next, there are several tricks to get the first layer of your PLA print to stick better to the print bed of your 3D printer. Blue Masking Tape. PLA prints usually stick really well to blue masking tape. When preparing the print bed it is better to have tiny gaps between your strokes of masking tape, rather than having overlaps. Overlaps of smaller pieces of tape may cause difficulties later on during the print process. We have tested a wide variety of masking tapes and found that the best results can be obtained with Eurocel Blue Masking Tape. Coat your print bed with hairspray. Like ABS, PLA has a tendency to stick really well to extra strong hairsprays. Blue masking tape is unlikely to leave a residue on your print bed. A hairspray coating however will leave a residue on your print bed.